The workshop “The Islamic Mediascape in Central Asia” was held at GW on October 2, 2017 as part of the CERIA initiative, generously funded by the Henry Luce Foundation. CERIA focuses on several aspects of the emerging Islamic civil society in Central Eurasia—Islamic education, Islamic media, the Islamic middle classes, and culture—as a medium for discussing religion. Unlike Islamic education, which remains tightly controlled by the state, the Islamic media world has been able to secure more autonomous niches and emerge as one of the most diversified and vibrant spaces for debating religion. Since their independence, Central Asian states have been trying to control their domestic publication markets and avoid penetration by “foreign” religious discourse. Legislation on importing literature and domestic outreach has been tightening. Each country attempts to carefully control both its citizens’ movement abroad to study religious topics and the ability of foreign religious organizations of any type to interact with citizens. Across the region, however, relatively easy access to leaflets, booklets, flyers, and DVDs has allowed people interested in religion to participate in collective debates about the place of Islam in their private and public lives. Today, Islamic publishers continue the Soviet-era underground tradition of publishing lectures and sermons, making local-language versions of scriptures available to the public, and translating works from Russian, Saudi, Egyptian, and Turkish authors. In the most open countries, such as Kazakhstan and Kyrgyzstan, television channels produce didactic programs that instruct viewers on proper mores and family relationships. Social media pages put Islamic messages in Central Asians’ hands 24 hours a day and allow for discussions not possible on other media outlets. All of these new Islamic media channels have changed information flows about Islam in Central Eurasia and created new forms of Islamic authority. Internet and social media are obviously revolutionizing the local Islamic marketplace of ideas. Central Eurasia’s access to digital Islam has been delayed by low internet penetration, authoritarian control over media and communication, the Soviet legacy of public secularism, language barriers, and, in part, the region’s peripheral status in the Muslim world. However, this situation is rapidly changing as Central Asians increasingly access information online instead of in print. Today, religious quarrels between Saudi Salafi scholars and competing styles of Islamic-inspired women’s fashion from Turkey and Egypt increasingly inform debates about how to be a good Muslim among young Central Eurasian citizens who have never left their home countries. Some sophisticated web-based media, produced by sites like Sodiqlar.org, work to create a coherent “Islamic” perspective on world events that frequently borrows from and interacts with popular apolitical groups in order to enhance its reach and audience. Other topics come with new political baggage, including calls to choose sides among fratricidal jihadist factions in Syria and al-Qaida-influenced hate rhetoric against other Muslims groups that many Central Asians have never previously encountered. Digital media permits people who were previously isolated or excluded from Islamic debates in the region to circle back and re-engage. New media activists acquire the language skills and specialized education that enable them to translate Islamic media produced in Arabic or even English, offering popular and often proscribed texts in regional languages for the first time. They act as bridges between information environments, often creating branded digital media studios dedicated to bringing content they believe is meaningful into their home language networks. This desire to belong to a greater, universal Islamic identity appears to appeal most of all to the several million young Central Asian men and women who live separated from their home communities as labor migrants or refugees in countries such as Russia. A similar, but more modest, trend is visible on some Central Asia television networks. In Kazakhstan, Asyl Arna, the most popular Islamic television channel, went viral on social media pages, with over 155,000 followers on vKontakte (the Russian-language equivalent of Facebook), a number that exceeds that of the Kazakhstani Muftiyat (~12,000 followers on vK). Islam in Central Asia today is a topic that generates significant scholarly interest. Yet, remarkably, the Soviet roots of Muslim practices, social life, political movements, and institutions remain poorly understood and barely studied. When it comes to the academic study of Islam in Soviet Central Asia, Central Asianists have yet to even behold the tip of the iceberg. That such a “hot” topic has inspired so little serious historical research is attributable, first and foremost, to the problem of media in the broadest sense of the term. In this way, the paper seeks to make a case for the use of hitherto unused or underused materials as a source base for the study of Soviet Islam. Since the late Soviet period, Tajik religious scholars (ulamo) and Islamist activists have waged a fierce debated over public moral-ethical guidance, ritual normativity and religious authority in the complex context of post-Soviet decolonization, Islamic revival and nationalist renaissance. Over the past decade, influential independent ulamo managed to consolidate their position within Tajikistan’s religious field and (re-)define their concept of Sunni-Hanafi normativity and authority, contrasting it with the alternative interpretations provided by groups such as Hizb ut-Tahrir. Importantly, they presented their interpretation of religious normativity and authority as “traditional” and “authentic” Tajik Islam. An important component of this consolidation process is ulamo’s public role in “Commanding Right and Forbidding Wrong” (amr ba maʿruf va nahy az munkar), an Islamic expression that addresses the religious praxis (ibodat), central dogma (aqida), and the general question of how to lead a life agreeable to God. The independent ulamo we have analyzed emphasize the social and moral implications of amr ba maʿruf, i.e. the implementation of social order and a just economic and political system. Referring to Abu Hanifa, the ulamo claim the responsibility to remind the society of how to command right, whilst politicians or rulers should actively struggle for the public interest (maslaha) of the Islamic community, as allegedly specified by Abu Hanifa. While most of the advice given by the ulamo deals with ritual obligations, a significant portion of it also addresses immediate social issues facing the followers, allowing us to draw conclusions about the social relevance and authority of religious specialists in Tajik society. However, the recent transformation of Tajikistan’s political system from a soft-authoritarian to a hard-authoritarian regime has significantly affected the social and political context in which Tajikistan’s lay Muslims and religious elites are able to navigate Islam and Islamic normativity. The ban of the Islamic Revival Party of Tajikistan (IRPT) in 2015, along with increasing restrictions on independent religious elites, has left the latter marginalized and silenced, disrupting the negotiation processes that emerged in the post-civil war period. Consequently, we have seen the quasi-governmental Islamic Center (Markazi Islomi) take on a more central role, becoming the sole state-approved Islamic institution in Tajikistan and therefore defining Islamic normativity. In this work, we conduct a comparative examination of the religious edicts (fatovo) issued online by independent religious elite and the Islamic Center in order to identify differences in religious traditions. In particular, we aim to explain why independent religious specialists refer to richer traditions of interpretation than the very narrow and limited interpretations consistently referred to by the Islamic Center. Our research suggests that the Salafi-leaning Islamic Center offers Tajikistan’s authoritarian government a way to achieve devoutly-desired hegemony over the religious field. 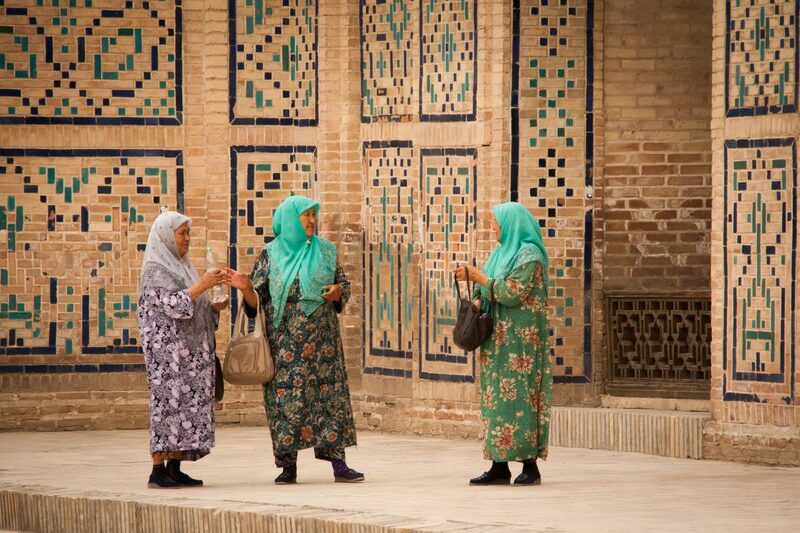 This article examines the diverse perceptions of and discourses on Islam, fundamentalism, spirituality, and culture in contemporary Kazakhstan and Central Asia more broadly. The paper focuses on the pluralistic and globalized perspectives on Digital Islam through the study of contemporary art discourses and discussions about religiosity, Islam, fundamentalism, and the importance of Islam in the formation of a regional cultural identity. While many online sources and social media accounts provide a framework for different types of religiosity—cultural, pious and fundamental—contemporary art in the region serves as a platform for critiquing religion as a whole. In this paper, I discuss the most famous works of Said Atabekov and Almagul Menlibayeva who provided a space for the discussion of Tengriism (rather than Islam) in their works, performances and video art. The younger generation in Central Asia is far more technology-savvy, using mobile applications, social media and websites; this puts their experience of digital Islam in a global context, as opposed to the glocal context of Atabekov and Menlibayeva. As such, third-wave contemporary artists primarily promote their work online, using global social media outlets (Facebook, Instagram and Twitter) and video-sharing (Vimeo and YouTube), as well as numerous local blogging platforms. The diversity of these platforms creates the space for more pluralistic views and discourses on Islam in the region in general. It has often been pointed out that Soviet state atheism continues to influence how religion is understood and practiced in present-day Central Asia. In Kyrgyzstan, however, a new generation of atheists is emerging whose ideas about atheism—and religion more generally—are informed less by Soviet state atheism than by neo-atheist ideas and images in circulation worldwide, and who use social media platforms for organization and discussion. The paper explores their efforts to live atheist lives and be true to their atheist convictions, both in real life—by crafting atheist selves and surrounding themselves with communities of atheists—and on social media. It also explores the images of religion that play into this process of atheist construction. I will argue that many of these young people initially embrace the role of social media, seeing these media as fora for encounters with like-minded individuals and a means of constructing a moral community. What they encounter on social media, however, are often images of atheism and its religious others with which they cannot identify and which often seem irrelevant to the challenges they face, since co-existence with and caring for religious others are central to the daily lives of many of these young people. In Kazakhstani mass media, there is an ongoing debate over what constitutes proper Islamic belief and conduct. This paper examines a running dispute between Zikiriya Zhandarbek, an intellectual based at a university in southern Kazakhstan, and scripturalist Islamic institutions, such as the Kazakhstani Muftiate and the Islamic television channel Asyl Arna. Zhandarbek’s tirades against the “Salafist” and “untraditional” Muftiate, and the scripturalists’ responses—detailing their scholarly credentials and knowledge of the Qur’an—exemplify two different rhetorical approaches to Islamic debate. However, both parties claim to represent the Kazakh nation, indicating the overwhelming importance of nationalist rhetoric in Kazakhstan today. Based on fieldwork conducted in Aravan, Kyrgyzstan in August-October 2016 with local partner Ikbol Isakov, this paper presents the results of focus groups on the role of digital and online resources in their own Islamic education in a community often criticized by neighbors for being “Salafi” or adopting “foreign” Islamic beliefs. Beginning with questions that seek to ascertain the frequency with which they use digital resources versus printed or personal interactions, further questions led to discussion about the participants’ methodology for evaluating claims of religious authority and theological arguments in the “wild west” of the Internet. In analysis of the discussions, the paper highlights the significant role most participants assigned to both 1) individual reference the primary sacred texts (the Quran and authenticated hadiths) as their primary mechanism for evaluating a chaotic sea of theological arguments and religious materials they encountered online, as well as 2) the key role personal relationships with trusted religious advisers (be they a local imam or a simply a knowledgeable friend) whose authority to comment on religious debates was drawn primarily from interpersonal trust – the demonstration of trustworthy moral character and positive piety in ordinary life over a long period of time. Finally, the results are examined in the context of a negative discourse used by most Kyrgyzstanis (regardless of ethnicity) outside Aravan that criticizes many of its residents for their commitment to visible markers of Islamic piety and rejection of cultural norms from the Soviet era, and discusses ways in which social networks as a medium for distance learning religion may have role in the way residents shape their identities and construct their understanding of what it means to be a “good Muslim” and a “good person” in Aravan. For many members of the Tajik governing elite, Muslim piety remains problematic—a stubborn, socially regressive holdover of anti-modern Tajiks—and Muslim leaders are often considered anachronistic cultural relics. Anthropologists have noted a specific range of discursive strategies that states invoke to deal with problematic persistent cultural legacies (Noyes 2016). On one hand, states often domesticate them, rendering them provincial, non-modern others, and incorporate them into the national discourse as part of the state’s heritage. Alternatively, when survivors from these cultural traditions refuse domestication, states resort to zombification. These individuals become the living dead, whom the government considers in need of swift extermination. This paper interrogates the depiction of Muslim cultural “survivors” on Tajik state television. Specifically, I compare documentaries about the life of Imomi Abu Hanifa, the eponymous founder of the Hanifi school of jurisprudence, with an exposé about Ishoni Temur, a Naqshbandi pir, tried and convicted in 2015 for polygamy and various indeterminate offenses against official notions of Muslim religiosity. I argue that state television renders Abu Hanifa as an innocuous part of national heritage and Ishoni Temur as the problematic “living dead” of contemporary Tajik Islam. Finally, I build on that discussion to consider different regimes of Muslim alterity in state media and trace the contours of what makes one person a saint and his discursive foil an anti-saint in the current Tajik political environment. Muslim preachers in Kazakhstan, like those elsewhere, often construct their authority with public demonstrations of their knowledge of hadiths, their skills in Quranic recitation, and familiarity with Islamic jurisprudence. However, important Kazakhstani Muslim leaders, like the Smanov brothers from southern Kazakhstan, also build their religious authority by demonstrating their masculine comportment through excellence in and knowledge of sports. The Smanovs post videos of themselves bench pressing, doing martial arts, and swimming. They hold panels with boxing champions and discuss what it means to be a Kazakh man. The Smanovs’ messages illustrate the complexity of Islamic authority in Kazakhstan and show the need for scholarship on the interplay between Islam, constructions of masculinity, national identity, and sport, as well as an exploration of the media practices used to demonstrate these attributes in the 21st century.